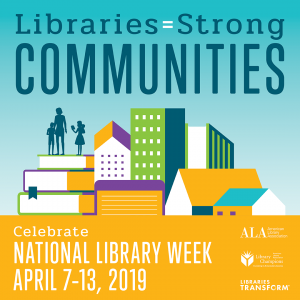 April 7-13, the Cedar Rapids Public Library joins libraries nationwide in celebrating the many ways libraries lead their communities through the transformative services, programs and expertise they offer. April 7-13 is National Library Week, an annual celebration of the life-changing work of libraries, librarians and library workers. Libraries aren’t just places to borrow books or study—they’re also creative and engaging community centers where people can collaborate using new technologies and develop their skills and passions. Thank a librarian or library staff member for their work.